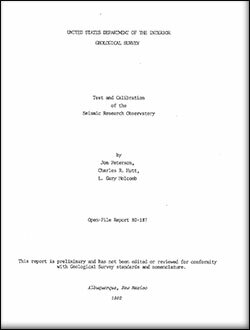 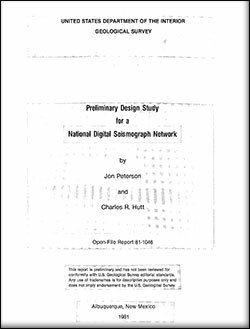 Peterson, Jon; Hutt, Charles R.
IRIS/USGS Plans for Upgrading the Global Seismograph Network; 1989; OFR; 89-471; Peterson, Jon; Hutt, Charles R.
Peterson, Jon; Tilgner, Edwin E.
Description and Preliminary Testing of the CDSN Seismic Sensor Systems; 1985; OFR; 85-288; Peterson, Jon; Tilgner, Edwin E.
Murdock, James N.; Hutt, Charles R.
A New Event Detector Designed for the Seismic Research Observatories; 1983; OFR; 83-785; Murdock, James N.; Hutt, Charles R.
Peterson, Jon; Orsini, Nicholas A. 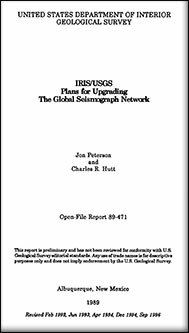 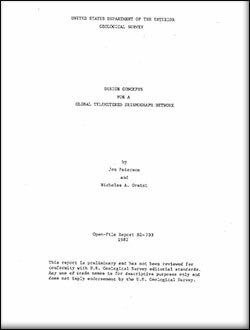 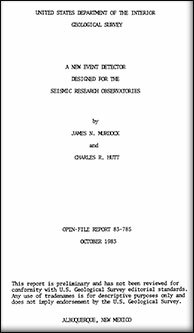 Design Concepts for a Global Telemetered Seismograph Network; 1982; OFR; 82-703; Peterson, Jon; Orsini, Nicholas A. 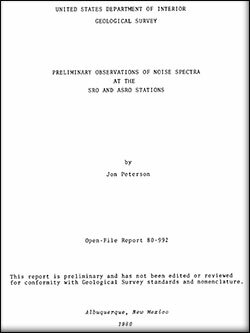 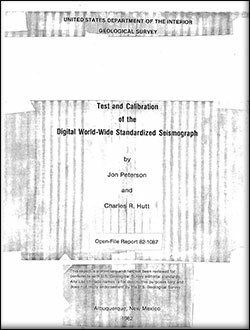 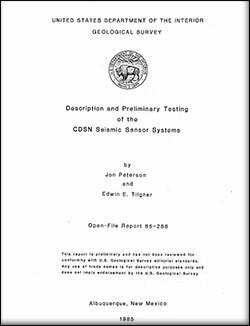 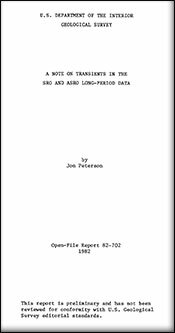 Test and Calibration of the Digital World-Wide Standardized Seismograph; 1982; OFR; 82-1087; Peterson, Jon; Hutt, Charles R.
Preliminary Design Study for a National Digital Seismograph Network; 1981; OFR; 81-1046; Peterson, Jon; Hutt, Charles R.